Manchester City Dealt Huge Blow In Pursuit Of Serie A Ace: 3 Alternatives Including This German Star! Brazilian by birth, Italian by nationality. Jorginho is flirting with the idea of making the leap from Italy to England as he sets his sights on a move to the Premier League. Manchester City were thought to be front-runners in acquiring the services of the playmaker as they look for a reasonable replacement for the departed Yaya Toure. Pep Guardiola is believed to be a fan of Jorginho’s capabilities and would like to have the Italian within the City ranks. Jorginho would relieve the burden off Fernandinho’s shoulders as the Brazilian is reaching the end of his peak years. He is currently 33. As social media plays a defining role in the current world, be it negative or positive, the mass majority tends to get carried away with what is said and done over the internet. Jorginho’s official Twitter page shows Chelsea FC on his recent media activity, leaving people to believe that a move to the Etihad Stadium may well be over and done with. Cash-laden City will look elsewhere if they are to miss out on the services of Jorginho. There are plenty of big-name midfielders that the Citizens can set their sights on. Bayern Munich‘s powerhouse Arturo Vidal would be ideal to replace Fernandinho as their deep-lying midfielder. Vidal is strong on the ball and his physicality would suit him well when adjusting to the vigors of the English game. He can tidy up play and control the speed of the game. Borussia Dortmund youngster Julian Weigl is another player who Pep Guardiola is an admirer of. The lanky midfielder exudes calmness on the ball which gives time to the players around him to set themselves up for the counter-attack. Weigl has a fantastic passing range and builds play from the back, much like Jorginho. 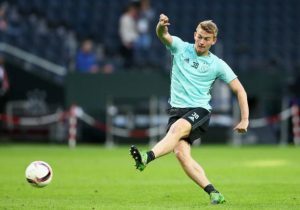 The young German always looks for the forward pass and is not afraid to take a shot at goal, if the opportunity is to present itself. Read More: Manchester City Send 20 Y/O Ace On Loan To Ligue 1 Outfit: Does He Have A Future At The Etihad? 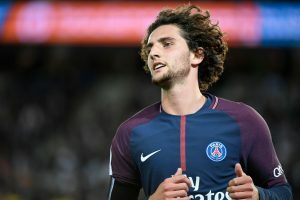 Young and improving Adrien Rabiot is a French mainstay at his current club Paris Saint-Germain. He can play anywhere in midfield but is most effective when deployed as an attacking midfielder. He has defensive instincts too which help him play at any position in the centre of the park. He is good in the air, making him an asset when lining up for a set piece. 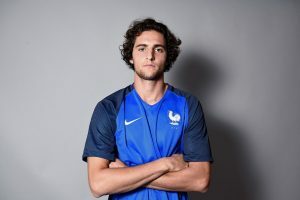 Rabiot is tricky with his feet and uses it as a tool to escape from tight areas. Jarryd is an ex-footballer who passed out from St. Xavier's College. With a keen knack for gegenpressing, Jarryd is a nerd when it comes to tactics in football. Swansea City Inch Closer To Seal Move For Sensational Sunderland Forward: Right Fit For The Swans? Newcastle United Eyeing A Move For 30 Y/O Aston Villa Star: What Will He Bring To St James’ Park? 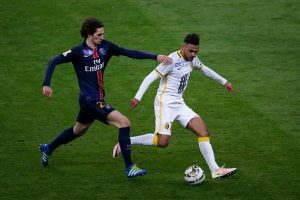 Liverpool Could Hijack Move For This Ligue 1 Midfielder: Good Move For The Reds? Tottenham Hotspur Plotting A £20m Move For This French Midfielder: A Shrewd Move For Spurs? 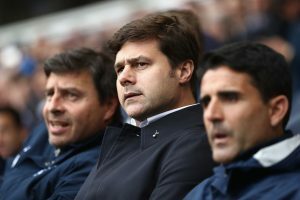 Tottenham Hotspur Hoping To Snap Up 23 Y/O Ligue 1 Midfielder: What Will He Add To Pochettino’s Side?